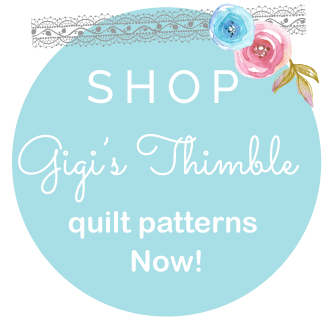 Gigi's Thimble: Mod Meadow Pattern + Giveaway!!! I'd like you to meet Mod Meadow. Yay! She's finally done and I'd love to hear what you think?!? [my third pattern], then I think you might like Mod Meadow too. It's kind of a stretch, but if you look real close, the Mod Medallion block is kind of in there. If you look at the 9-patch blocks and follow the white out into the leaves, you'll see it. I almost called this quilt "Remix" or "Take Two" but decided that it really was completely different than Mod Medallions. I decided to go with Mod Meadow instead. I don't know...am I the only one that sees that? This quilt is scrappy, but only uses 1 charm pack, lots of white and some green. I used It's A Hoot plaid (in pistachio) by Momo for Moda for the leaves. (so there's no need to get overwhelmed :) Although, I think if someone out there chooses to hand applique all of the 168 leaves, then you'll have a real show-stopper on your hands. Kaylene Parry in Lehi quilted this for me. She did a fantastic job. I always like to do a giveaway [when I can] to celebrate the release of a new pattern. Sooo... 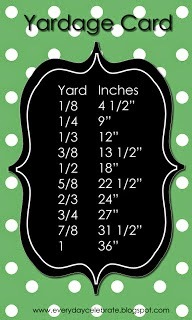 I have 1 Central Park charm pack, 1 yard of that lovely pistachio plaid from Momo [love that green!] and my new Mod Meadow pattern to give away. Make sure you include your email address. Contest will end Wednesday at midnight. And one interesting bridge shot [from my photo shoot today]. That really is the actual color of the photo. No photoshopping! K. Have a good day. I love the new pattern. So fresh and springy. Those two little cuties are model material Amber!! Just adorable. And then.....I love, love, love your new Mod Meadow pattern!!! It's fantastic. I absolutely love this!!! 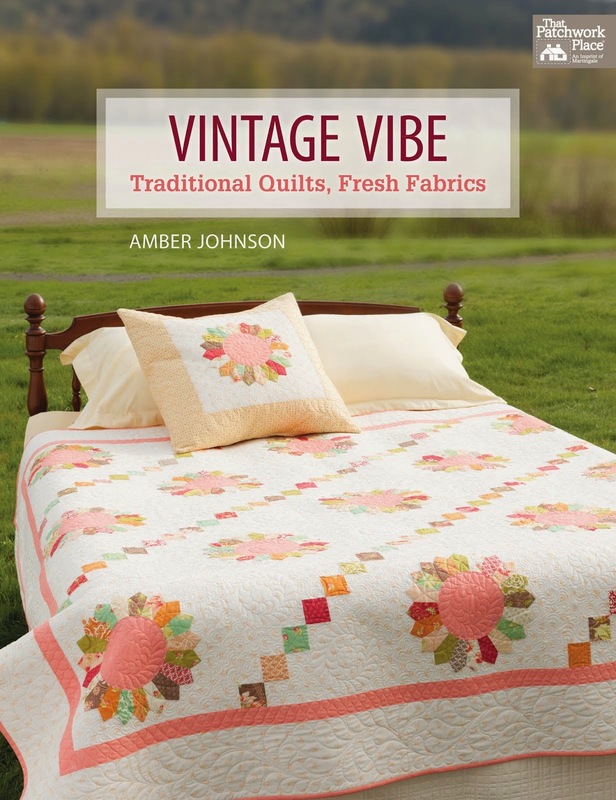 I would love to snuggle in that spring like quilt! Beautiful job! This is one of the nicest new patterns, I have seen this year! It's beautiful and I would love to make it! Thank you for having a give away. One fabulous quilt pattern plus great fabric and quilting! Would love to give this a go if I win - thanks for the chance. May have to try even if I don't!! Oh soooo pretty! And those munchkins are adorable! & I can totally see the mod medallion in there to. Hi Amber oh I just love the pattern and down here in the south it is gloomy so I really needed to see that beautiful quilt. Love the special ones they are just darling. This is a wonderful give-a-way and I would love to win. The photo is awesome where is it taken at? This is a real winner Amber. It is different and I love it. The quilting is wonderful, very appropriate for the quilt. Cute kids. What an awesome quilt! Thanks for the opportunity to win! Very pretty, I really like it! I would love to make this... And with Central Park?! Love it, too! That's a really nice pattern, Amber! I'd love to win the supplies to make it. Love your new quilt! Awfully cute kids, too! I love your new pattern!! I love Kate Spain fabric too! That would be a real show stopper if it was all appliqued by hand!! Beautiful! Those two cuties are adorable too. Thank you for doing a giveaway. Such a happy pattern--love it!! This is great. What a lovely thing to do with just one charm pack. Oh I would make this in a heartbeat. oh that is an absolutely wonderful pattern!! Love all the things on your blog. Beautiful quilt, beautiful kiddos, beautiful pic of bridge! Following, and thanks! Beautiful quilt and pattern! Love it! Love that pattern. Simple yet beautiful. The quilting is awesome. Love the quilt. Although I love hand quilting, I might try the machine applique on this. Love your new pattern and what a great giveaway! What cuties! Oh! I so love this pattern... and the quilting is exceptional - quite honestly, this is something that I would make - I would love to win your giveaway!! BTW, your little ones are adorable too! THANKS FOR THE PHOTOS-DARLING CHILDREN+QUILTS! What cute and adorable children... what happy faces! Thanks for a chance at the give-away... I love your new pattern and the fabric is gorgeous! What a great quilt - thanks so much for the giveaway! And, those two cuties are darn cute!! beautiful pattern and fabric! Thanks for sharing! I love it! I have always wondered.. well what could I make with just one charm pack... and tadaaa... you have answered that question! It really is fantastic! I love the whole design of it.. even the quilting! It is a wonderful giveaway, so generous of you! I would love to win! Oh my GOSH!! You have 2 of the cutest little ones. Very very cute!! The quilt is beautiful. I love the quilting on it, but the design is VERY pleasing to my eye!!! Beautiful! p.s. I really do enjoy reading your blog and look forward to your new postings. Thanks for sharing your talent with me!! Love the Springy colors and I am so ready for Spring. Sweet pattern,almost as sweet as the picture of those two kidlets! Thanks for the giveaway. What a beautiful pattern! WOW - I love it! Thanks for this great giveaway. I am a follower and of course I hope to win! 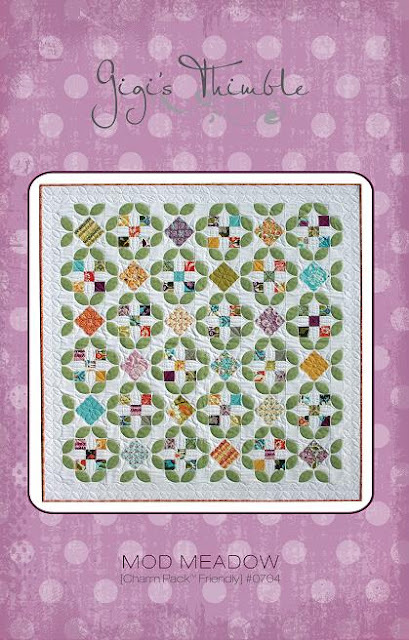 What a great pattern, the quilt is so cheerful and perfect for spring! I love the new pattern. That would be a lot of leaves to hand applique but well worth it to have such a beautiful quilt. Love it!!! Thanks for the giveaway. Love the new pattern. I also became a follower today. Keep up the great work with these new fresh designs!! Great pattern, now I want to bind every quilt in that orange Central Park print! Wonderful pattern! And I just love the quilting on it, too. Thanks for having the giveaway! What a fresh looking pattern, and a cute couple of kidlets. I LOVE IT!!! Love the color and movement. Great job! This is probably my favorite pattern of yours! It is so nice and fresh against that white. Beautiful quilt. I love the central park fabric. That's so interesting and new. And, of course, love the fabrics! And I do follow! That is BEAUTIFUL!!! I am adding this to my To-Do list. I love the pattern using Central Park!!! So bright and fresh!!! Wow - that is gorgeous! I have been loving that fabric line (from afar...as of yet). Thanks for the chance to win. I love your pattern and I really like the way it is quilted. Your little darlings are so, so cute! Thnaks for a chance to win. I am really just wanting to tell you that I love this new pattern...the picture of Blake and Maya is so darling. Maya looks so beautiful! And it was fun to see a picture of your new carpet. Way to go with the banisters--you guys really have done so much for that place, it must feel good! First of all let me say how precious your kids are...they are. I love this pattern, as I have loved all your designs. I'm still piecing Sugar and Spice. I would like to win this one to make for one of my granddaughters. I'm on a mission to be sure each one has a quilt I've made. It always amazes me how much you accomplish. I am a follower too. I love this quilt! I can't stop staring at it. If I thought I could applique that many leaves, I would totally make it. Great job! Oh Amber! That quilt is gorgeous -- just beautiful! (And so are your little cuties! Gorgeous pattern! So fetching! And I am so smitten with Central Park and I don't even have any yet. I will ... one way or another! I love this pattern...Mod Meadow! Think it's my favorite yet. The fabric you chose is perfect for it! Thanks for a chance to win. I just love your new pattern & the fabrics are wonderful. Thank you for the chance to win your great pattern. Beautiful!! Love it, and the kiddos are adorable. Can't believe how big they are. The pattern is so pretty. I've been wanting to make something out of Central Park. Beautiful kids, too!! Delightful! Love the pattern, the fabric, the photos! Love your work....what a talented pattern/quilt artist! Would love to try my hand at this lovely design. Love the quilt! This is my first visit to your blog and I'm happy to "follow". Good luck at market. What an awesome new pattern! Thanks for the giveaway! I love this quilt - very contemporary. I want to make this one. I love your pattern, it is very catch! I would love to make it myself. I love the pattern and fabric...would LOVE to win it. The pattern is so pretty, like a parterre garden! Yes, I am a follower/subscriber! You do fantastic photography! Thanks for the chance at the pattern and fab fabric!!! What a beautiful pattern! I am a follower! I am a follower. I love this pattern. The leaves are so neat. Thank you for the give away. I would love to make this quilt. I just started following your blog and am super excited!! You have some amazing patterns!! I love the leaves! And woohoo for central park fabric!!! I love that pattern! I am just getting started quilting (been at it less than a year) but I am totally addicted and that pattern is definitely one to add to my "to do" list. Your quilt is absolutely beautiful and I would love to make one just like it!! I LOVE Mod Meadows! It's so light and fun and reminds me of spring and leprechauns all rolled into one! I'm so glad I found your site! You are one amazing lady. Gorgeous work as usual!!! I'm your newest follower! 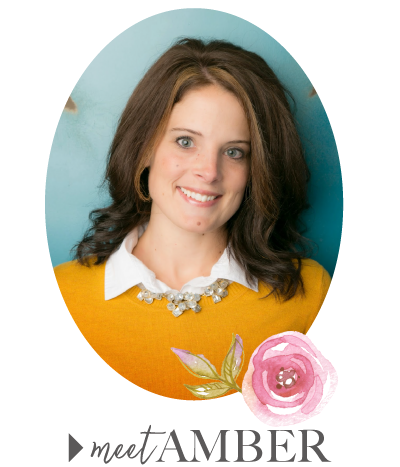 Just found your blog thru MBS and just love it and your style. Thanks for the talent, eye candy. Send a win to Alabama, please. We are sooo left out!! !